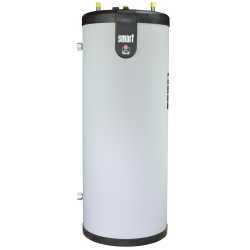 The SMART40 from Triangle Tube is a Smart 40 Indirect Water Heater, 36 gal. feature an exclusive tan.. The SMART50 from Triangle Tube is a Smart 50 Indirect Water Heater, 46 gal. It feature an exclusive .. The SMART 60 from Triangle Tube is a Smart 60 Indirect Water Heater, 56 gal. It features an exclusiv..
With all-stainless steel construction (both inner tank and outer shell), Ginius series idirect water..